"The world is shifting toward higher density housing where you don't have much of a yard, or no yard at all and roof decks are becoming the new yard, so you'll see triplex or a large condo complex where the roof is the yard," said John Burns, founder of California-based John Burns Real Estate Consulting. 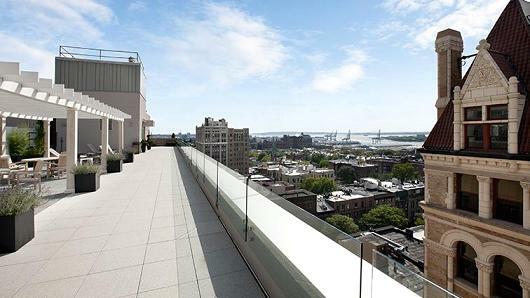 "The average person in New York City, if they have a weekend home, they may not want to feel like they're paying a lot of additional money for outdoor space," said Raphael De Niro, a real estate agent with Douglas Elliman in New York. 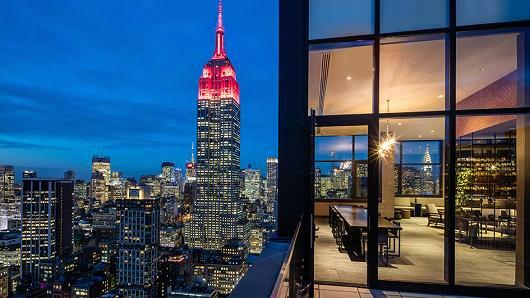 If it's a penthouse priced over $10 million, he said, "there is a lot of nuance to it. If you're talking about a certain price point, and anything at the top of a building, most buyers expect it to have outdoor space." 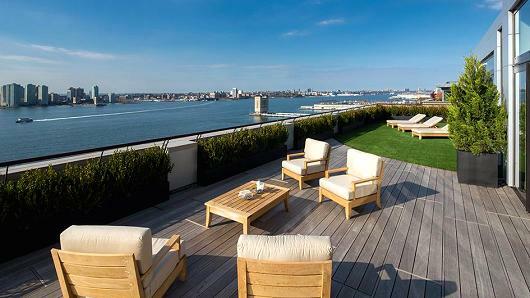 "Revenues attributable to roof decks can be even higher in areas where the roof deck also opens up desirable views and creates view premiums (ocean, lake, natural open space, city skyline)," Reeb wrote. "Despite higher home prices, new home projects with roof decks often sell at a faster pace than projects without decks." 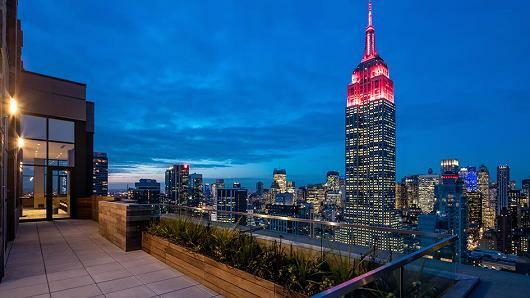 Roof deck's are an important amenity at new apartment buildings in New York City. "It's the first thing they tour," said Caitlin Porpora, concierge for Instrata Lifestyle Residences, a portfolio of luxury rental buildings in New York, Washington, D.C., Dallas and Los Angeles. "I think especially in New York City, where you have these apartments, it doesn't matter how much money you put into them, the roof deck is really an amenity that is very special to the residents. It has to have a wow factor." "It's very important because that age group doesn't have the money to go to the Hamptons or that weekend spot to get away to. Even though these buildings are super expensive, and even though it may seem like they have extra money, they're spending all of it on rent," Porpora said.